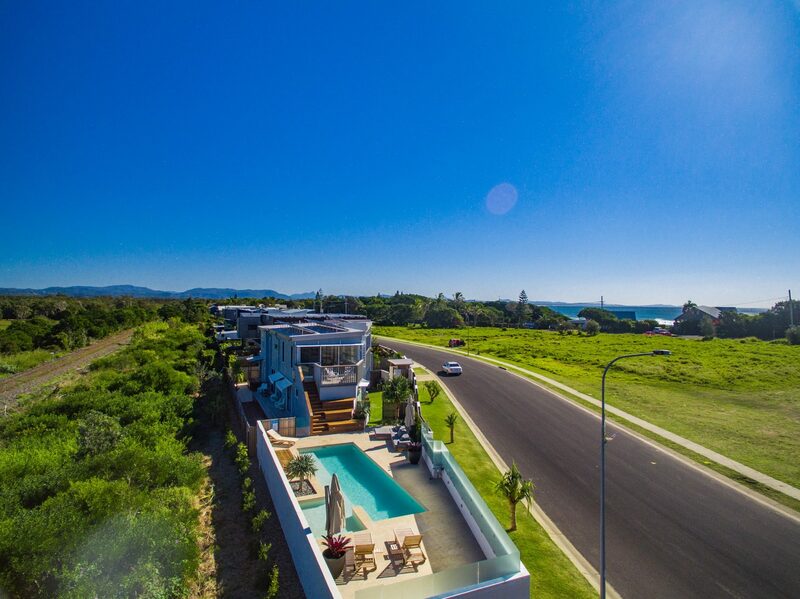 Bluewater House is a large, two level modern beach house with ocean and light house views from every room on the top floor with a N/E aspect. 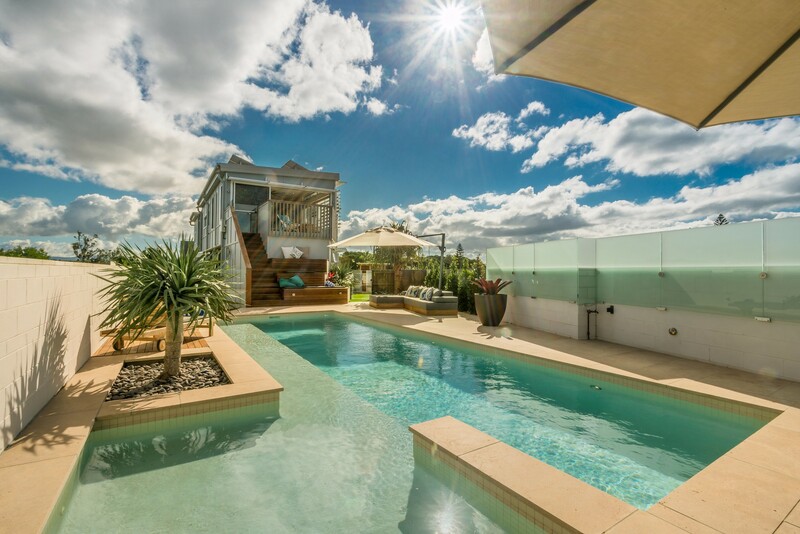 The property has been specially designed and styled to provide guests everything they may need for the perfect holiday in Byron Bay. 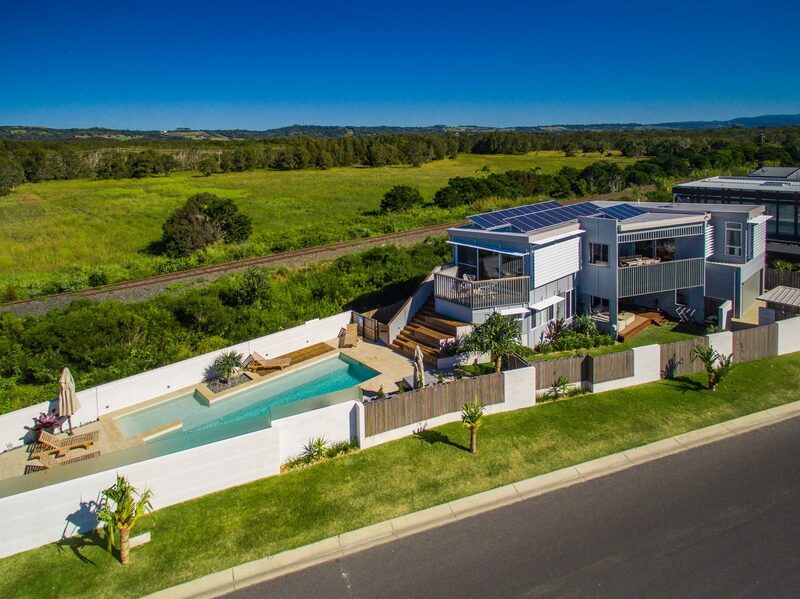 Cool off in the designer, large heated pool, relax to the views of the ocean, head across the road to the beautiful Belongil Beach, or stroll 10 minutes along the sandy shoreline to Byron town centre. 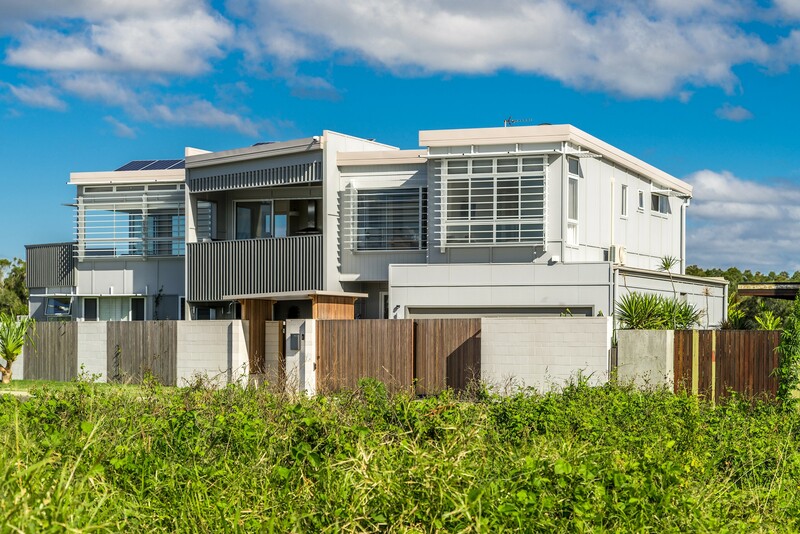 Ideal for families, the property is fully fenced and also offers a high security access. 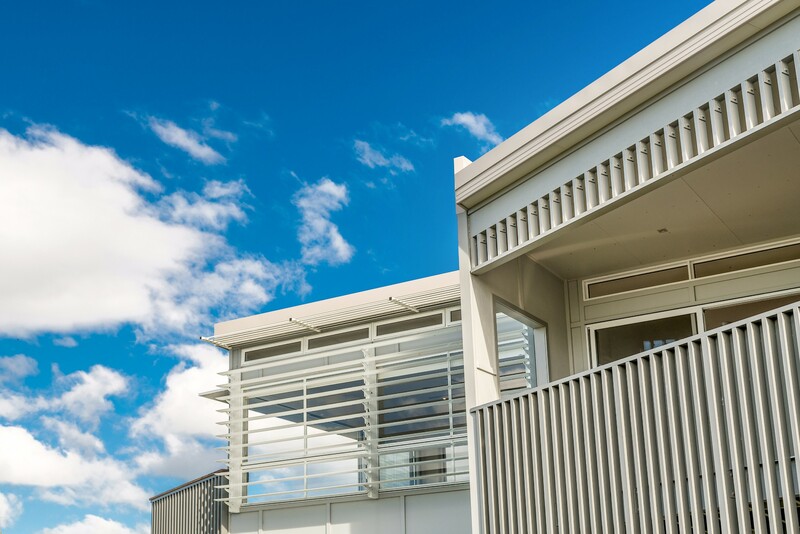 Bluewater has multiple living areas - both inside and out. 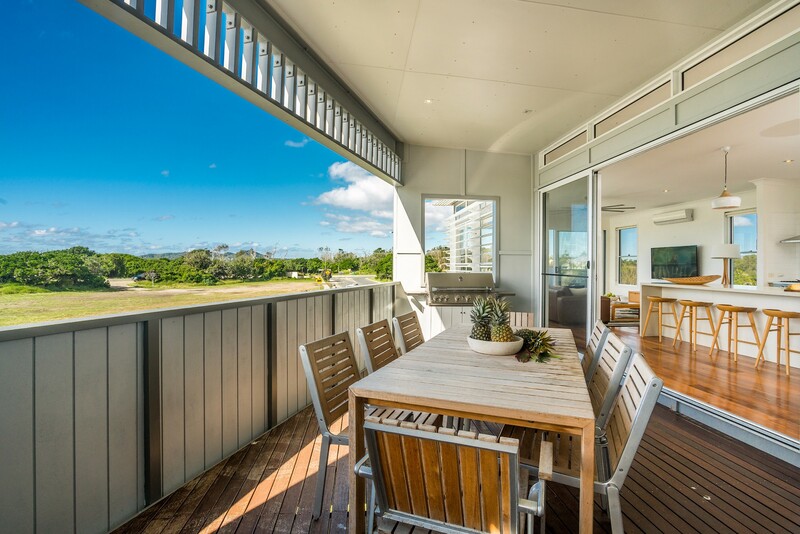 Upstairs, the living area extends seamlessly from the kitchen and opens out to the north-facing, covered balcony with outdoor dining and BBQ. 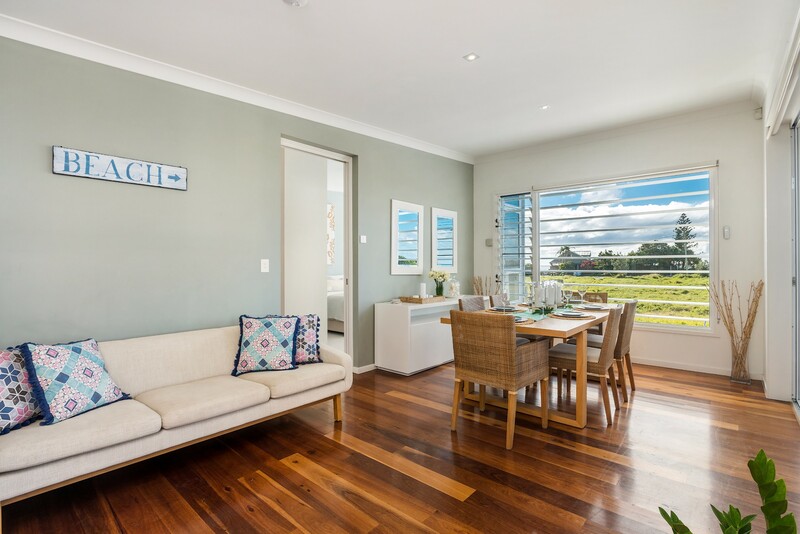 Windows surround the upstairs living area with uninterrupted ocean views beyond the road and grassy reserve, with doors that lead down to the spacious pool area with built-in grandstand seating as well as pool chairs. Downstairs guests will enjoy another media room with TV, high end leather fold out lounge (can sleep an extra 2 people), sound system and block out curtains. 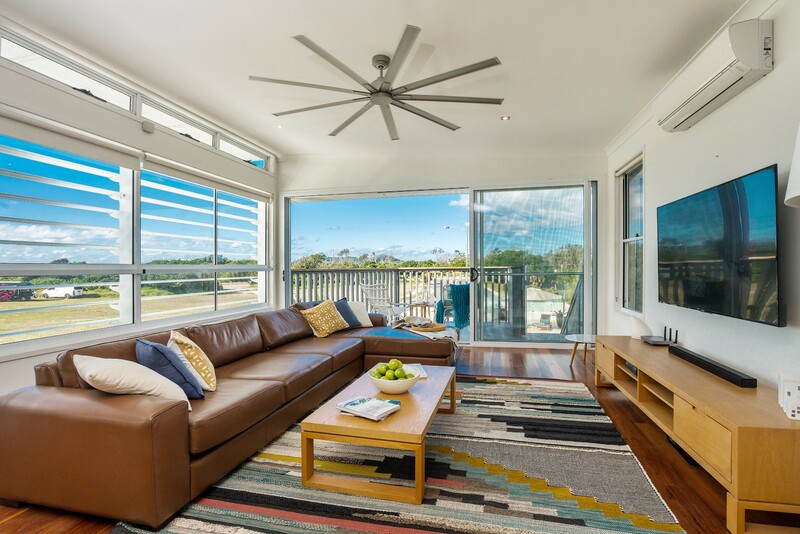 In addition to a balcony to the rear of the room, large sliding doors open out to the front deck area with additional seating and enough space for activities or outdoor yoga protected by the fully fenced yard. 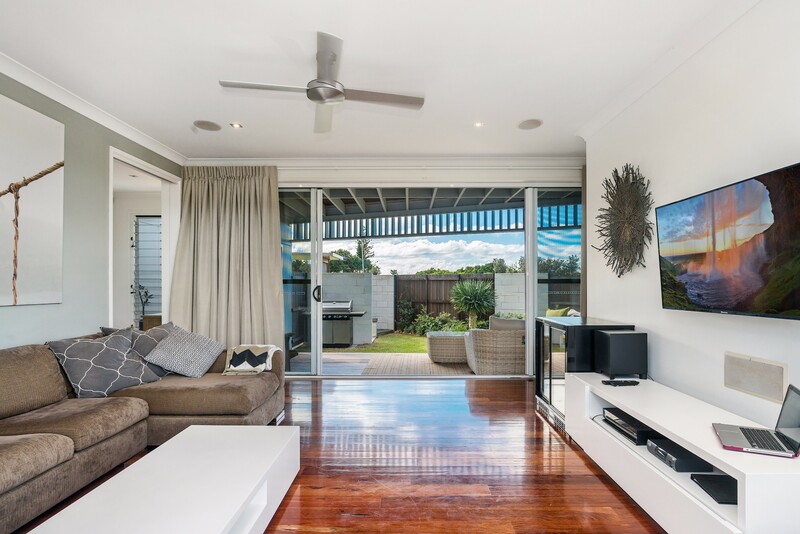 This downstairs living space can be closed off by doors separating this section from the rest of the house, making it perfect for a kids retreat or separate family space with 2 additional bedrooms and bathrooms adjoining the area. The Mediterranean inspired, heated pool is a distinct and alluring feature of Bluewater House and has been designed to make guests feel like they are in their own 5-star resort with mood lighting, landscaping, and custom built seating. 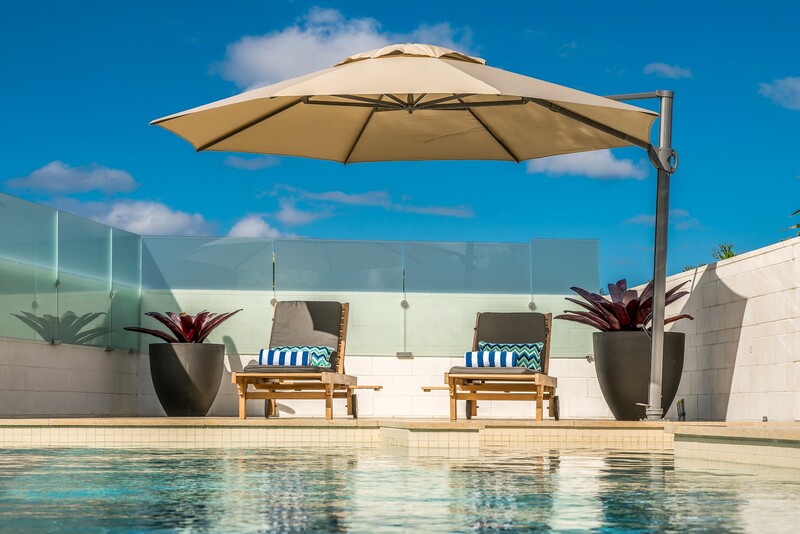 The pool can be enjoyed all year round with a state-of-the-art heating system that keeps the pool to a toasty 27 degrees through winter and 25 through the warmer months. 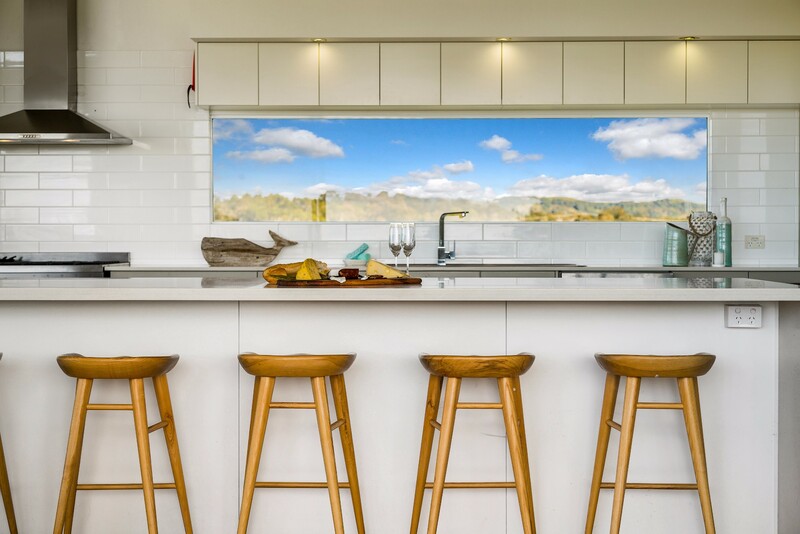 The large, open plan kitchen is fully equipped to cater for the home cook or professional chef. 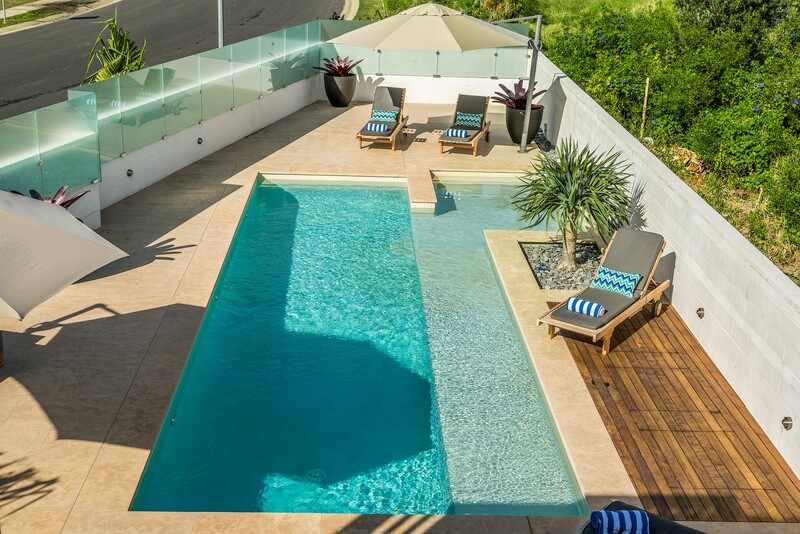 The living area space is surround by glass that opens to another deck area over looking the pool area. 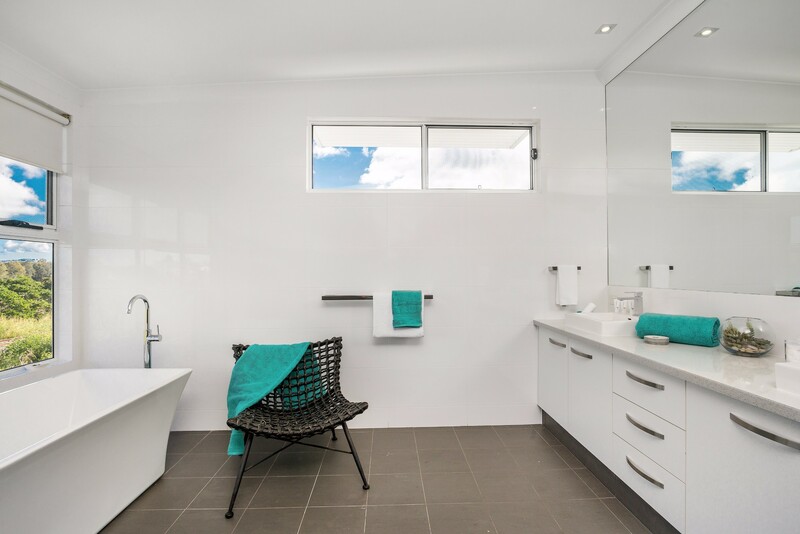 On this level is also the Master bedroom which includes a walk in robe and full size ensuite bathroom including a large bathtub. To complete the package all bedrooms have TVs and there is free WI FI. 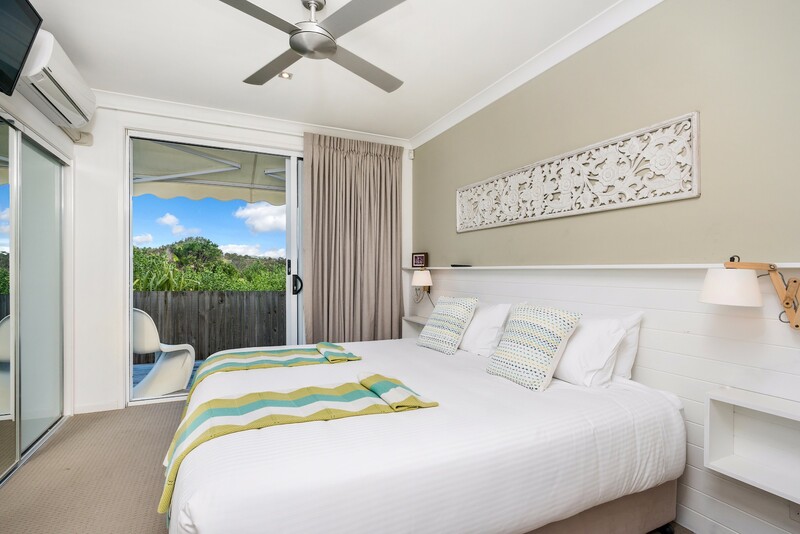 Bluewater House offers four ensuite bedrooms complete with air conditioning, ceiling fans and TV's in each room. 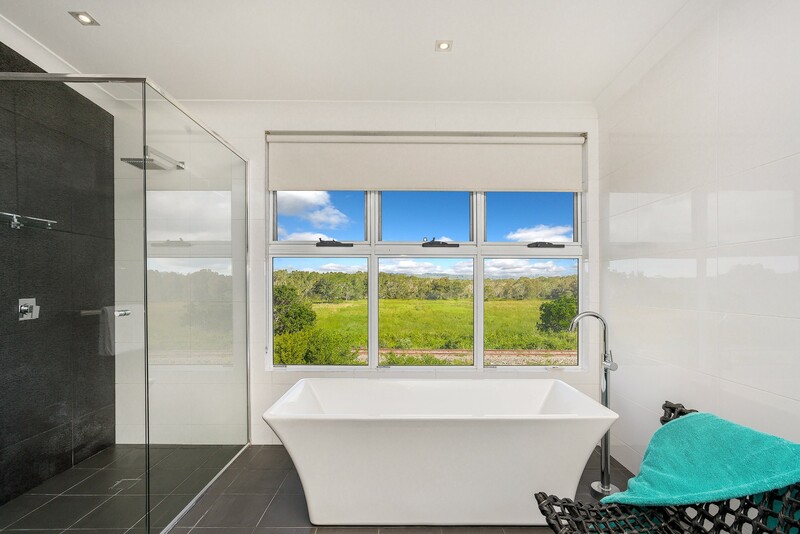 The master room upstairs features walk-in robe and large bathroom complete with bath and relaxing hinterland views. 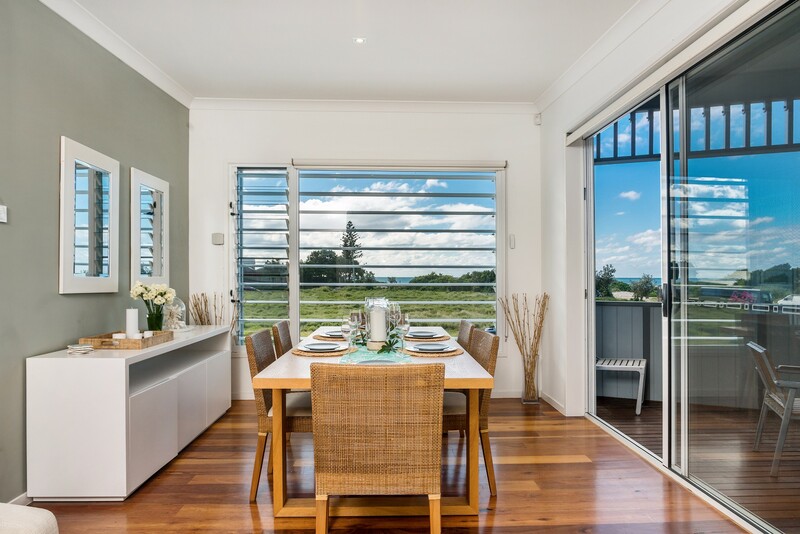 Three bedrooms are located on the ground floor, each with stacking oversized sliding doors opening out to a deck area running the length of the rear of the house, and flowing through to the pool area. Two of these downstairs rooms are located adjacent to the media room, while the other is at the other end of the house to offer additional privacy. Bedroom 1 is located upstairs, bedrooms 3 and 4 are adjacent to the media room. 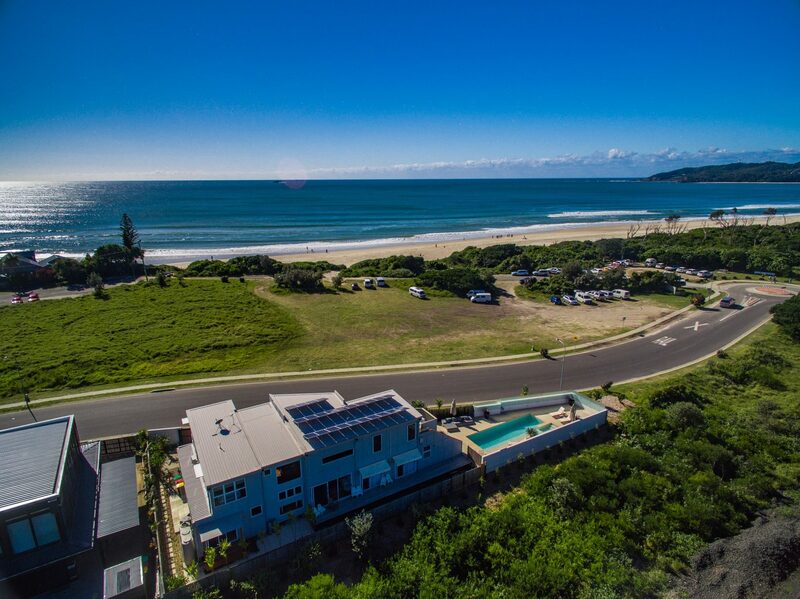 The house is perfectly positioned directly opposite Belongil beach where you will find one of Byron Bays most consistent surf spots. 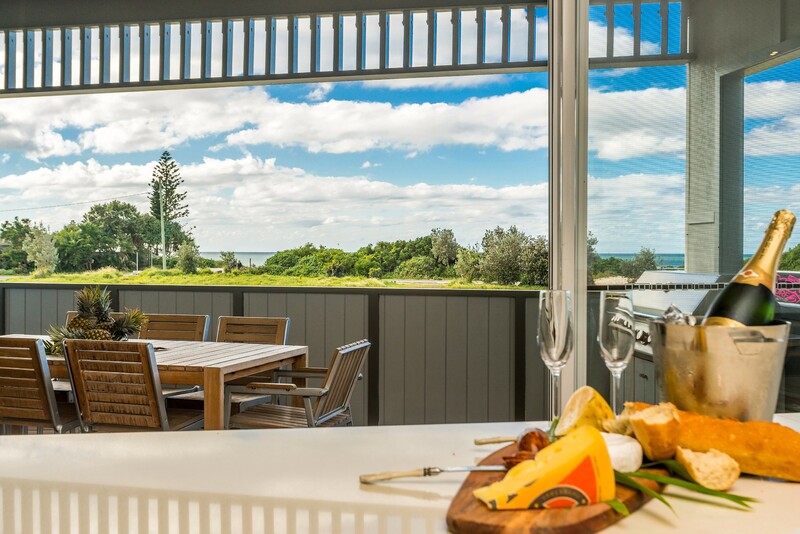 Local favourite Treehouse Cafe and Belongil Beach Cafe are just minutes away so guests can just wander to dine rather than heading into town. Group restrictions - maximum of 10 adults at the property. The house was just perfect for a large group like ours. You had your own space and never felt on top of each other. The house was a short walk along the beach to town which was nicer than being in the centre of Byron as it gets pretty busy. We are already talking about our next holiday there! 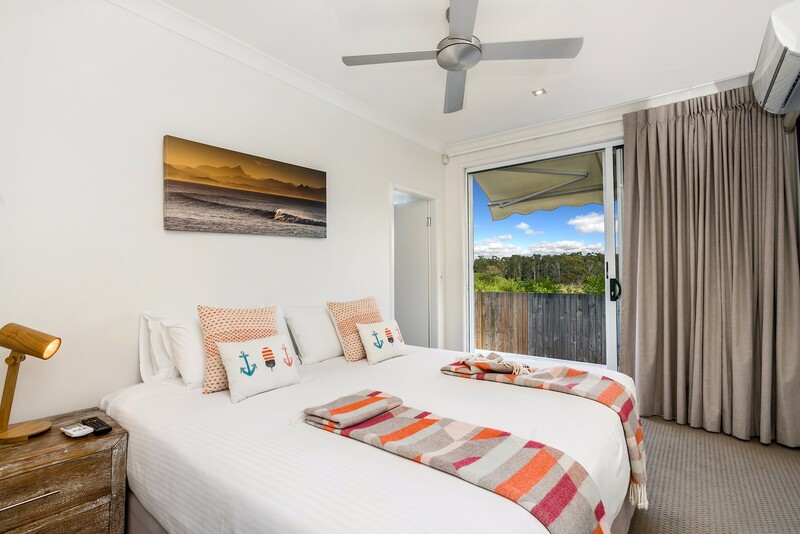 Bluewater House is less than 10 minutes leisurely stroll from the centre of Byron Bay which makes it very attractive (ie you can walk home from dinner, or a few drinks). The house itself is less than 1 minute walk from Belongil Beach and has lovely views from all sides. There is a lovely restaurant in Belongil less than 5 minutes' walk away The house is luxurious. It is superbly appointed, with everything you could possibly want. The caretaker, Nikki, met us on arrival and explained everything we needed to know. 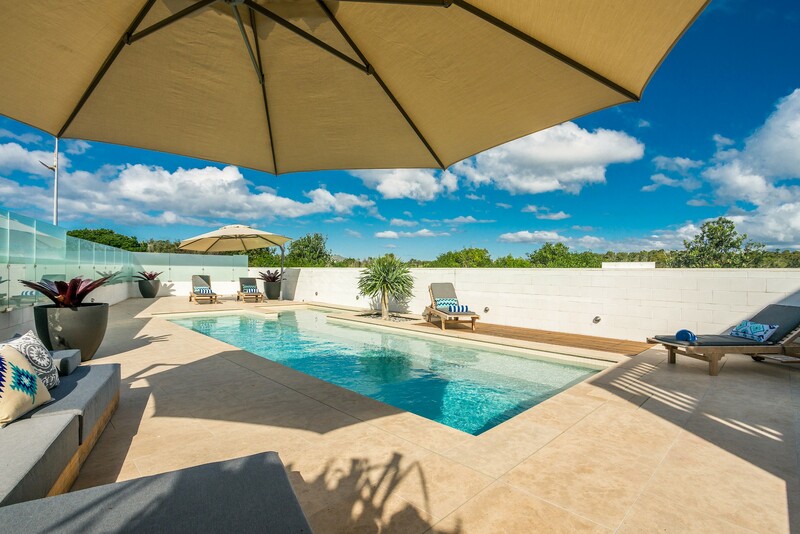 There are 7 TV's, lots of lovely spaces to relax and play in, and the pool is wonderful. 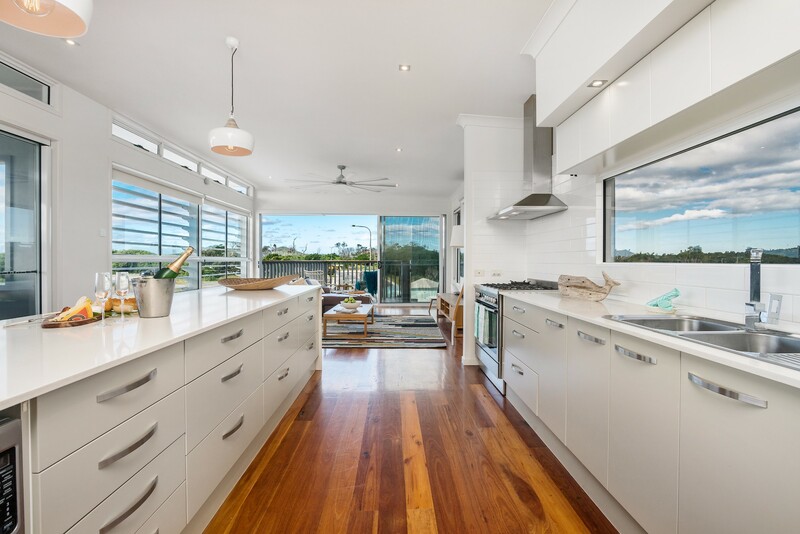 All the kitchen utensils and appliances are top quality, as is the laundry facilities. In a way, I am sad to say how good this place is, as I think if I tell everyone, it may not be vacant next time I want to return. 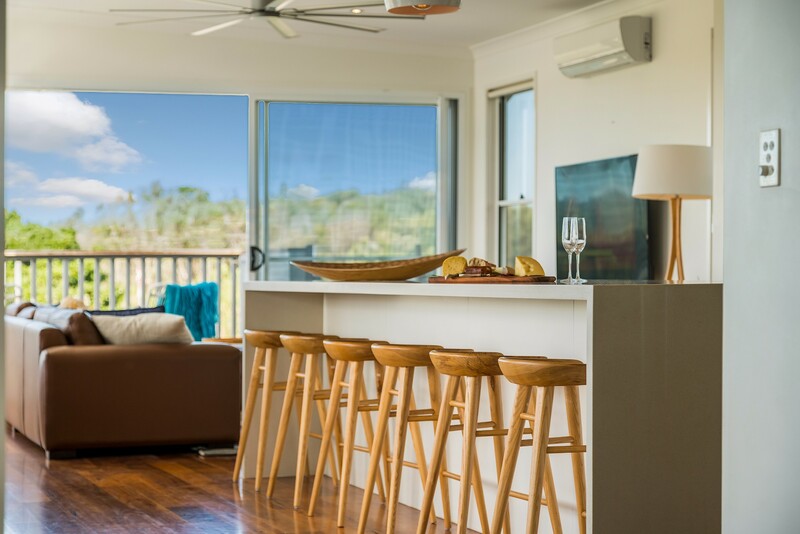 Thoroughly recommended for, and perfect for up to 10 people with 5 bedrooms, 5.5 bathrooms and everything you could possibly need. House was beautiful. 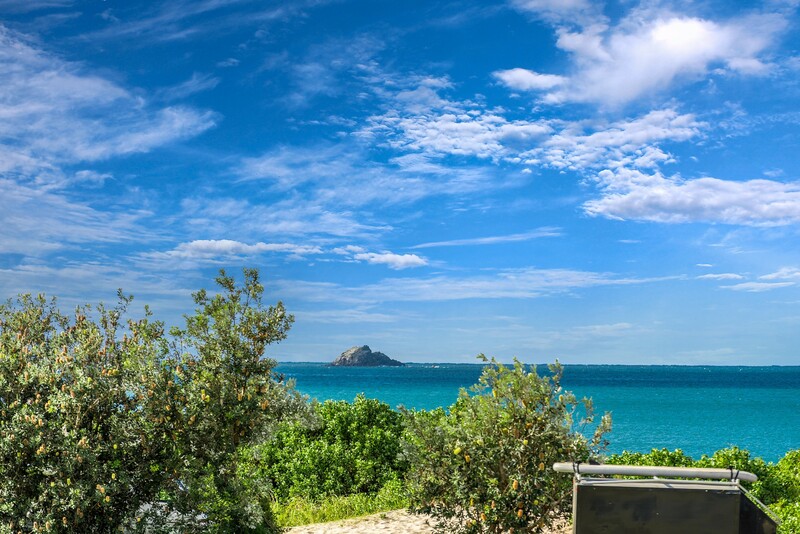 Proximity to Byron and Belongil cafes and beach was brilliant.